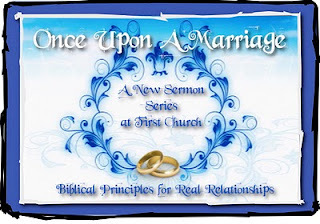 This week is the conclusion of the sermon series that I've been working on for the past four weeks: Once Upon a Marriage: Biblical Principles for Real Relationships. Wives submit to your husbands as to the Lord, Paul exhorts the church at Ephesus, and Husbands love your wives as Christ loved the church. I asked my wife Merideth if she would help me by team teaching this passage with me. She was reluctant at first, but soon caught the vision and the need to have a female voice heard in the midst of the discussion of "submission" and "love" as outlined by Paul. She is a highly successful businesswoman, a lawyer with her own law practice, runs a real estate company and property management company with her mother, serves on numerous boards and foundations in our community, and always seems to have time for family, running our household, nurturing our kids, and putting up with me. I don't think I could have found a more highly qualified person to help me teach this passage. Now this is a secular, very objective sort of assessment tool, but even in its objectivity there is a bit of mystery and the unknown to it. The idea of a Wildcard is one that is hard to qualify, but those who follow Jesus can put some legs on it. For Christians, who are seeking to live by Biblical principles in marriage that last one is defined within the context of following Jesus, and seeking to be in a relationship that is grounded in His love and example. I love this: "Love takes on its noblest forms when it is spelled concretely in terms of self surrender, sacrifice and holy design." Paul begins his whole discussion of Biblical marriage by saying to the entire group: "Submit to one another in reverence to Christ." No one seems to bat an eyelash at this verse... it's the ones that follow that cause all of the controversy. The bottom line is this: You can't ignore that Paul clearly intends that wives submit to husbands. The phrase "as to the Lord" gives us a clue as to what that should look like. Additionally, husbands are supposed to love their wives as Christ loved the Church. Jesus is at the center of both exhortations. For wives, submission is a gift, freely given to honor Christ, not necessarily to honor their husband (some husbands are clearly not worthy of their wife's honor, nor the gift of her submission). It is also not obedience. Submission is a free act, that is not coerced. It simply means, placing the will, desires, hopes, dreams, goals and needs of another above your own. And this is done as a response to the grace of God through Jesus Christ. For husbands, loving their wives as Christ loved the church is very nearly impossible. Jesus loved the Church so much that he gave himself for it. He humbled himself and became a servant. He accepted shame and death so that Church could live. But this is the call to husbands that they cannot shirk. Paul uses 41 words to exhort wives and 116 to exhort husbands. Husbands are called to love their wives with the kind of selfless, sacrificial, agape kind of love that changes every aspect of her life as a result. When a wife knows that her husband loves her beyond all love she is given space for grace, growth and freedom in Christ to be whatever she is called to be. There is a “vertical” component in a Christian marriage that can’t be ignored. 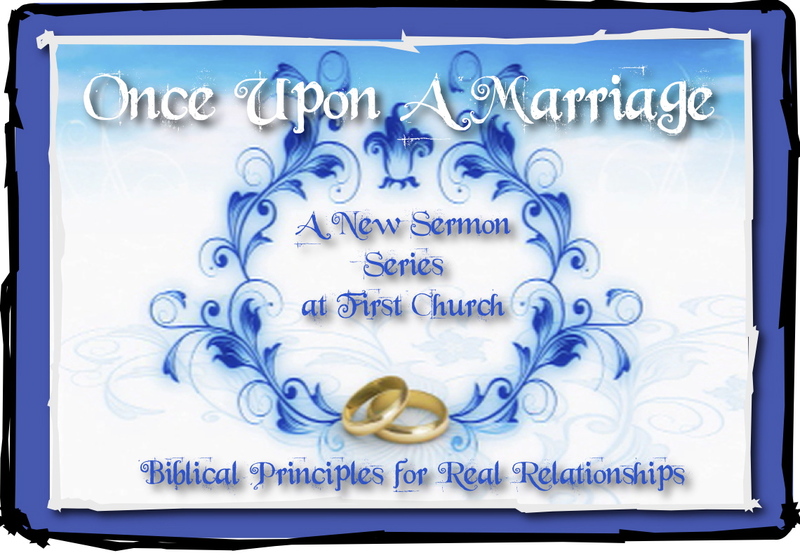 Love are intimate and very personal actions that occur between people in marriage. Neither partner can demand either submission or agape love. If you have to demand it, then you're not ready to receive it. Proper exercise of authority should not be seen as tyranny, nor should proper submission be seen as an indication of inferiority. need to understand this last point.